First Tutors connects teachers and students together. Start your search today. 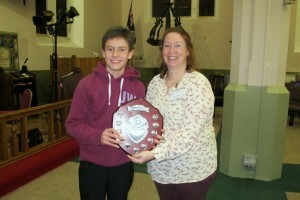 The East Coast Musician of the Year Competition attracts both able students and those in the early stage of their musical development giving the competition its unique status within the regions musical calendar. It enjoys the support of the regions Music Teachers, Schools, Colleges,Local Authorities Music Service Departments and regional orchestras. This competition is designed to suit all ages and musical abilities from beginners to advanced players. Candidates play an instrument of their choice and choose their own music which they are confident to perform. This is a very friendly competition and you will receive some encouraging comments from our judges to help improve your performance. So if this is your first time you have entered we will be pleased to see you and of course we welcome back those who have taken part in previous years. We have introduced a number of changes for the 2016 competition in order to give the competition a much wider appeal to students/competitors. The 18 and under class has attracted a wide range of students having differing musical abilities. This has favoured the older age entries. We have therefore decided to introduce a new class for the 16 and under age group. So if you 15 or 16 this is the class for you. if a candidate has won an age class in the 2015 competition they will have qualified to move up to the next class for the 2016 competition even if, by age, they would normally qualify to remain in their age class. This new rule means that new entrants and previous entrants who still qualify for an age class should have a greater chance of getting a place in the final. If in doubt, please check with the Festival Director. A previous outright winner of the competition (The East Coast Musician of the Year) chosen by the judges from the winners of each class, regardless of their age class will automatically qualify for the Open Class. 10 and under 4 minutes, 12 and under 5 minutes, 14 and under 6 minutes, 16 and under 8 minutes, 18 and under 10 minutes, Open Class 12 minutes. Two years ago we split the final into two distinct concerts with the junior section in the afternoon and the senior section in the evening. The consensus is that this reduced the audiences to both sections. Also, it has the disadvantage that students/candidates who travel by rail or coach to take part were having difficult getting home. We understand this is putting some off from entering the competition. So this year we wish to revert back to the final being one event but starting at 3:00pm with a short interval of 20 minutes at approximately 4:15pm. The presentations to the winners of each class and the announcement of the overall winner will take place at the conclusion of the concert. This new arrangement means we should be through by 7:30pm allowing those taking part and the audience to get home in a reasonable time. Once again the East Riding Schools' Senior Jazz Orchestra will be performing at the final. Andrew Penny OBE. Musical Director Hull Philharmonic Orchestra. Written feed back will be available for all candidates taking part in the heats. The selection of candidates going forward to the final will be announced at the end of each class. The judges' decision is final. The venue for the competition will be as previous years. Heats for the Competition: Saturday 12 November commence at 10:00am to 6:00pm. Times for each entry class vary throughout the day. Our policy is to keep the entry fee as low as possible to encourage candidates to take part in the competition. With this in mind our entry fees for 2016 will remain the same as 2015. (See entry form over for details). We will continue to offer an early entry discount for students who enter the competition before the 31st August 2016. The final closing date will be Monday 24 October 2016. 10 and Under £50.00, 12 and Under £50.00, 14 and Under £75.00, 16 and under £100.00, 18 and under £100, Open Class £150.00.